The product "Lancia Sport Gr.6 (LC/1)" was successfully added to your wishlist. Temporarily out of stock. Pre-orders welcome. 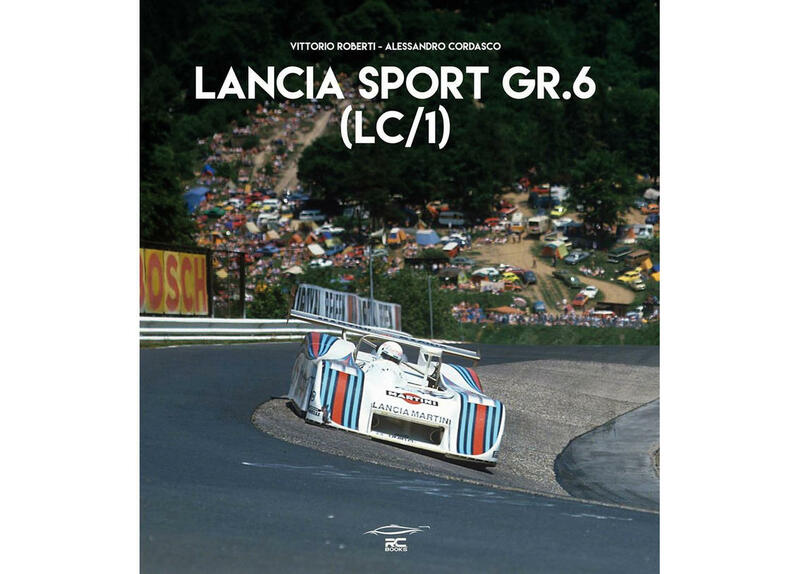 A 352 pages monography illustrating the Lancia Gr.6 spider, that raced during the 1982 World Endurance Championship season only with great drivers like Patrese, Alboreto, Teo and Corrado Fabi, Nannini, Heyer, Stommelen and Ghinzani. It came so close to winning the World Drivers Title with Riccardo Patrese. This car, better known as the LC/1, is a little bit forgotten but was a valid Lancia basis-project for the next LC/2.Authors Vittorio Roberti and Alessandro Cordasco, 352 pages, more than 200 color and b&w photos, 100 drawings. Text English and Italian.